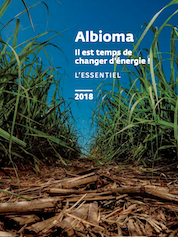 Albioma is an independent renewable energy producer committed to the energy transition thanks to biomass and photovoltaics. Our thermal and solar power plants respectively generate renewable electricity by burning biomass and converting solar energy in a photovoltaic process. 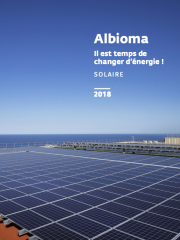 Listed in Compartment B of the NYSE Euronext Regulated Market in Paris, Albioma is committed to provide the financial community with regular, transparent and easily accessible information. This page contains links to all our press releases, as well as a whole range of documentary and visual resources available for you to view or download free of charge. Please don’t hesitate to contact us for more information! Albioma would like to wish you a happy new year! General Meeting: the online voting platform is open! Option for payment opens today! 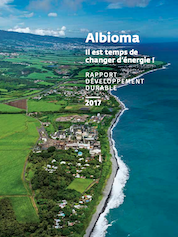 Albioma wishes you all the best for 2017! The solar seen from the sky! No results correspond to your search terms.